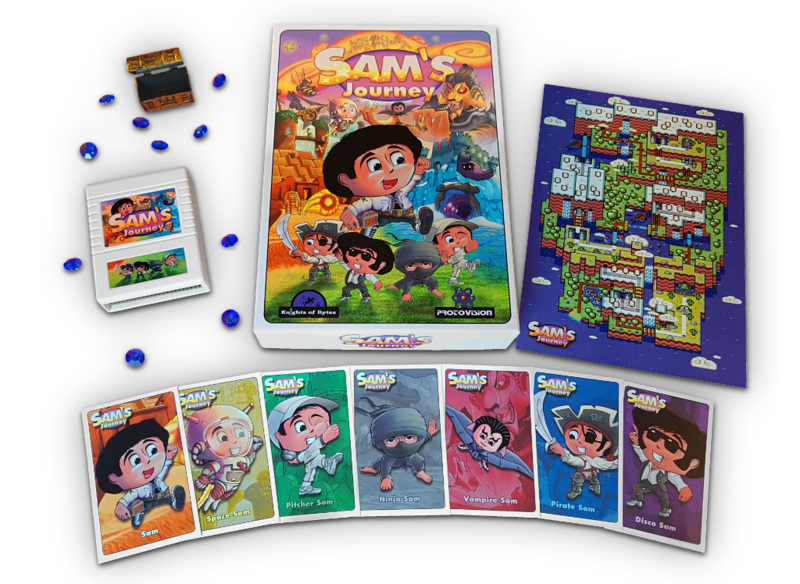 Sam's Journey is a brand-new original scrolling platform game developed by the Knights of Bytes for the Commodore 64 home computer and published by Protovision. It's about a cute little hero called Sam who finds himself on an unexpected journey in a strange world and can be ordered digitally or in an 80s' style cardboard box. If you are searching for the download version of Sam and can't find it in our shop: for legal reasons it is only displayed while you are logged in to the Protovision shop. 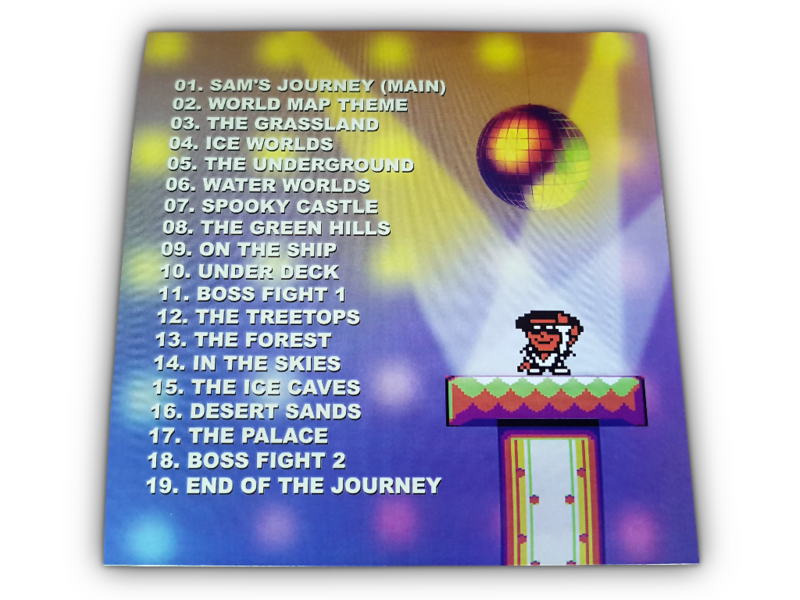 If you order the audio CD, you can also obtain a digital version of the CD. Please drop us a note about it in the order if you want to receive the digital audio files. 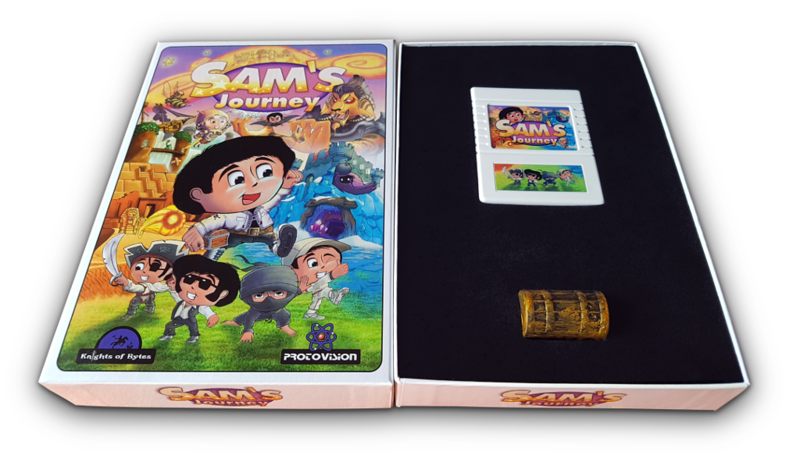 If you take the cartridge edition, you can chose between the international/English version or the Spanish version. If you chose the Spanish version, both the game and the box/manual are translated to Spanish. 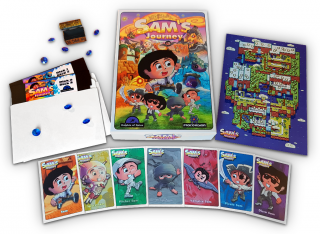 As a side note, you can say that each Sam is unique, because the boxes (among other things) are handcraft. 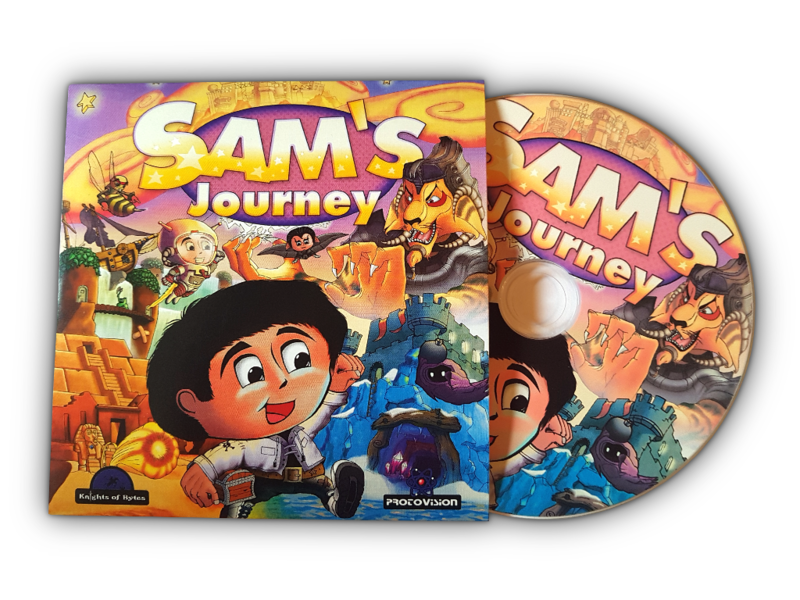 The digital edition of Sam's Journey is included with every order of a physical edition of Sam! Wohl das beste Jump ´n` Run für den 64´er. Heel leuk spel echt een aanrader het is spel is best mooi getekent voor een C64 en je hebt er best een aantal uren speel plezier in het spel is ook goed speelbaar de kaarten met de karakters van sam is ook erg leuk bedacht bovendien zit er ook een mooie schatkist bij met kristalen. 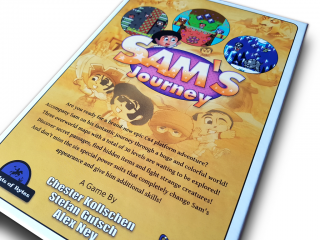 als je dit spel besteld is de verzending ook best snel. 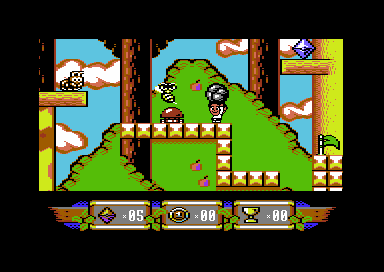 NOT playing this on an Amiga, honestly, anyone would be forgiven for thinking this game is running on an Amiga as it looks so bloody lovely. It runs very fast too, and so damn smooth. Somehow I have a feeling that this game has now set a benchmark for a certain standard in all future games. 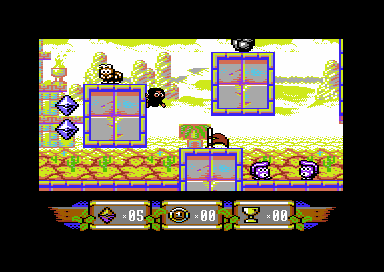 completed just this evening (do not get caught under said stomping stones by the way, it won't end well :-D ). if you ask me (as nice as that game is) 'Sam's Journey' is WAAAAY better. 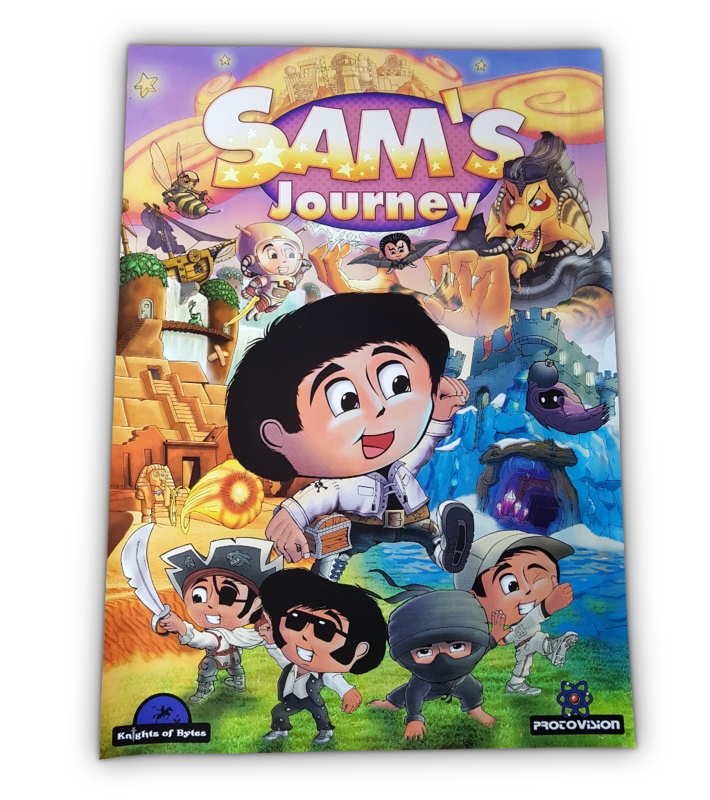 The gfx of the game is great, but what is really surprising is how smooth is the gameplay itself, any game gimmick work just "perfectly".